US coup tactics in Venezuela include economic war et al, political assassinations, orchestrated street violence, establishment media-supported propaganda war, supplying coup plotters with weapons, and military intervention if all else fails. That's how imperialism works. 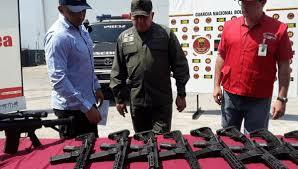 According to Venezuela's Deputy Minister for Prevention and Citizen Security Endes Palencia, the country's National Guard and National Integrated Service of Customs and Tax Administration (SENIAT) personnel seized 19 rifles, 118 rifle chargers, 4 rifle holders, 3 gun sights, 90 radio antennas, and 6 mobile telephones. They were covertly flown from Miami to Valencia state's Arturo Michelena International Airport - likely disguised as humanitarian aid, found at a storage facility. The Venezuelan Prosecutor's Office ordered an investigation to identify individuals responsible for trying to escalate violence in the country. Security was tightened at all entry points. What's going on has nothing to do with supporting Venezuelans "in their noble quest for freedom," one of countless Trump Big Lies in his SOTU address. It's all about an attempted US coup d'etat, what it's done many times before successfully and unsuccessfully worldwide, wanting Venezuela colonized, its resources plundered, its people exploited. It's how all empires operate, ultimately consumed by their arrogance and hubris. The late Chalmers Johnson believed the US is heading for a military dictatorship or its civilian equivalent, based on its current behavior. He explained that the nation is plagued by the same dynamic dooming other empires unwilling to change - experiencing "isolation, overstretch, the uniting of local and global forces opposed to imperialism, and in the end bankruptcy" combined with authoritarian rule and loss of personal freedom. An unprecedented wealth disparity exists, money power running things, headed by Wall Street and the nation's military, industrial, security, media complex. Venezuela is in the eye of the storm - mainly because of its world's largest oil reserves Republicans and Dems want Big Oil able to exploit, along with the US gaining another imperial trophy, part of its scheme to rule the world. He's got international and Venezuelan constitutional law on his side. He ordered the creation of around 50,000 popular community defense units, charged with the "integral defense of the fatherland." 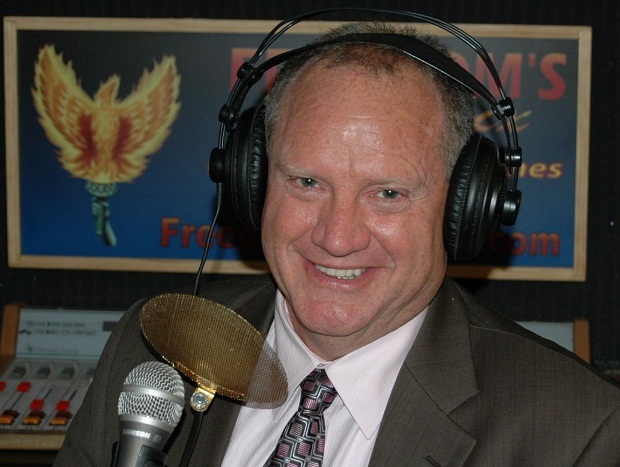 It's unclear if they'll be armed for self-defense against possible US invasion. He's gone all-out to maintain Venezuelan military support, what's key to preserve and protect the country's sovereign independence and his presidency - nothing illegitimate about it. He hopes to collect 10 million or more petition signatures against US interference in Venezuela's internal affairs, calling his campaign an initiative "for peace." He boldly vowed that "(n)o one will enter Venezuela, no one, I assure you, not a single invading soldier, wherever he may come from. That I guarantee you as commander-in-chief of the National Bolivarian Armed Forces." It's the price Venezuela and its people are paying for having the hemisphere's leading social democracy, governance the US abhors at home and abroad, wanting it eliminated everywhere.